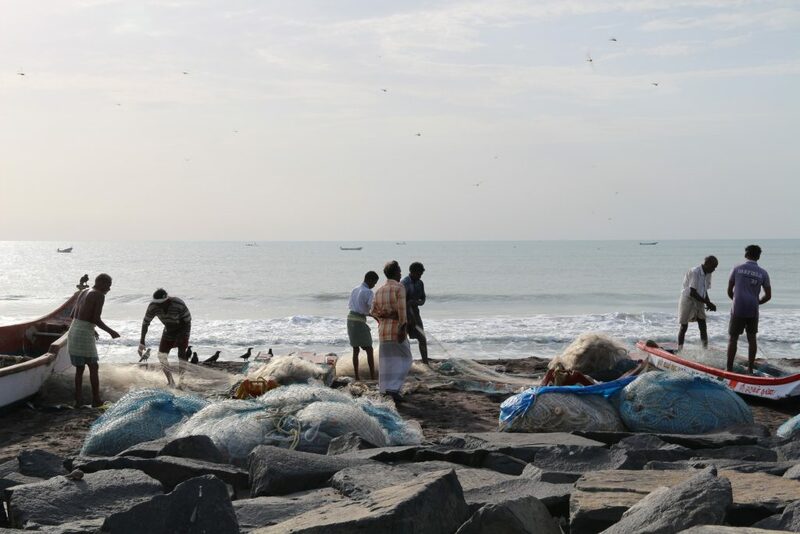 The ocean is at the heart of the livelihoods of millions of people in coastal communities. It provides food, employment and income to members of these communities – men and women, be it directly through fishing and harvesting activities, or in related activities that include the processing and marketing of fisheries products. A human rights-based approach therefore calls for securing tenure for these communities, taking into account gender considerations and the rights of indigenous peoples. Community-based and other participatory governance systems for marine resources and the recognition of traditional knowledge and local identity are complementary crucial pre-conditions to ensure the sustainable management of marine resources. Equally important is to ensure that communities can derive a decent living from the ocean, including through the marketing of fisheries products. SDG14b is an expression of the recognition of this. At the same time, small-scale fisheries are also key contributors to the realization of other related SDG 14 targets, as well as of other SDGs, in particular SDG1, 2 and 5. Strengthening actors and institutional capacities for such a trans-disciplinary approach to the sustainable use of the ocean is urgent and necessary. Join us to hear examples of partnership-based initiatives to improve small-scale fisheries governance and development. The side event will be moderated by Johan Williams, Ministry of Foreign Affairs, Norway.